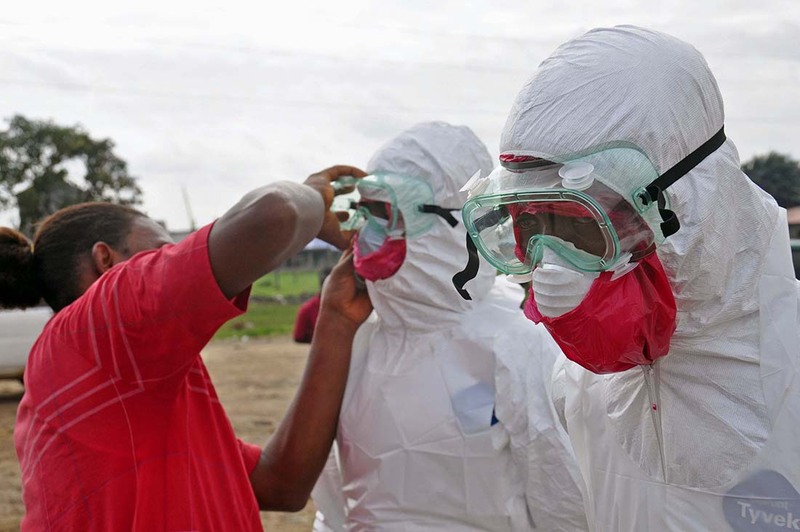 NEW WINDSOR, MD – In early August, Liberian President Ellen Johnson Sirleaf declared a state of emergency as the country grappled with the Ebola outbreak, which has killed more than 1,300 people, primarily in the West African countries of Liberia, Guinea, Sierra Leone, and Nigeria. U.S. nonprofit IMA World Health has partnered with the Christian Health Association of Liberia (CHAL), a network of Christian health organizations in Liberia, to provide health worker training and essential supplies to help stop the spread of the Ebola virus. IMA is assisting CHAL’s on-the-ground response to the Ebola epidemic thanks to financial support from several of IMA’s member agencies including Lutheran World Relief, American Baptist Churches USA, Week of Compassion, and Church of the Brethren. CHAL is working in close collaboration with the Liberia Ministry of Health to train health care professionals, community health volunteers, and religious and traditional leaders on the key facts about Ebola. CHAL is also engaged in the procurement of personal protective equipment (PPE) for health workers, along with the training on its proper use. Providing adequate personal protective equipment (PPE) for health workers. Providing pay incentives to health workers to decrease absences. Give practical trainings on how to use the PPE and care for patients infected with the Ebola virus. To give a gift visit www.imaworldhealth.org/ebola. IMA World Health believes all people deserve to lead healthy and productive lives. Based in New Windsor, MD, IMA collaborates with local, national and international partners to join and leverage assets, resources, knowledge and voices. IMA believes the way to achieve sustainable development is to be in full and mutual partnership with local people, organizations and governments.